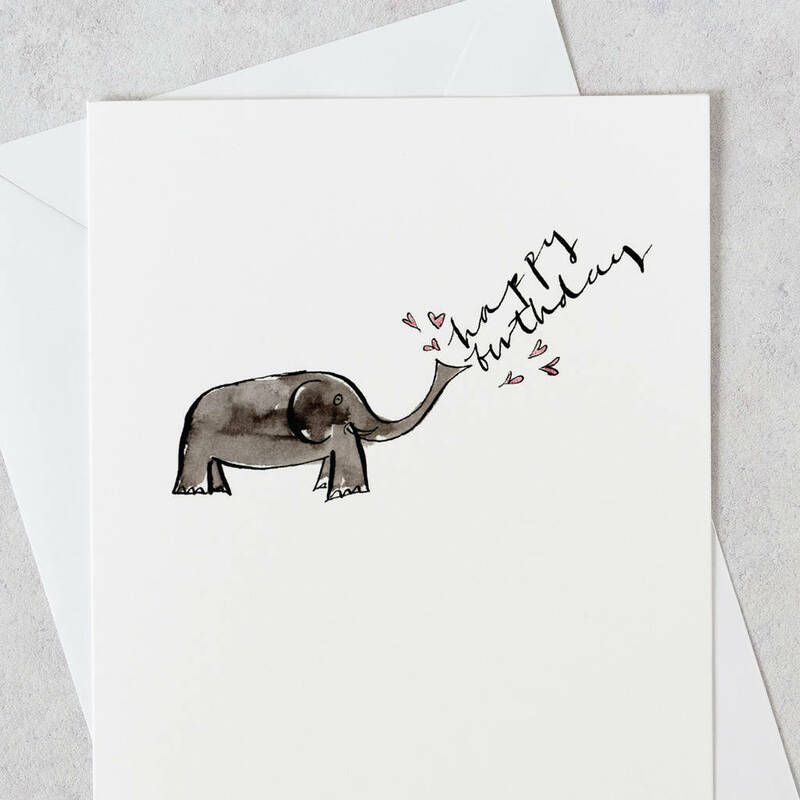 Who doesn't love an elephant birthday card with lots of hearts! 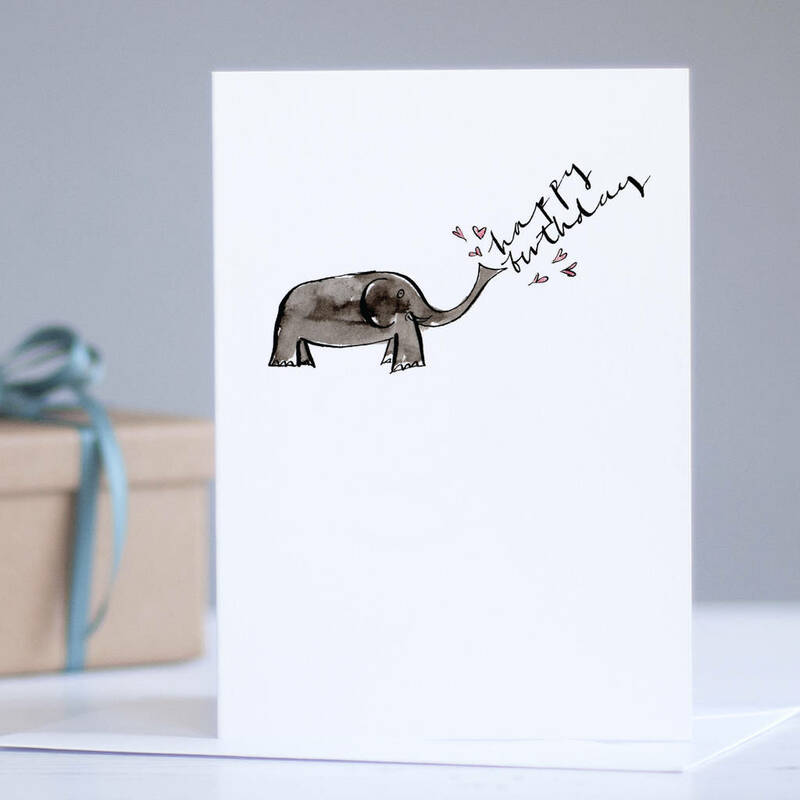 A fun elephant birthday card which combines illustration, calligraphy and pretty hearts. A great card to show your love to the special someone on their birthday. The illustration and calligraphy were originally drawn by hand with an old dip pen, watercolour paint and Indian ink. This birthday card is suitable for teenage girls, teenage boys, sister, brother, son, daughter, cousin, friends, best friends, girl friends, boy friends, wife, husband, mum, mummy, auntie, uncle, dad, daddy, mother in law, father in law, step mum, step dad, granny, granddad. It’s an ideal belated birthday card! 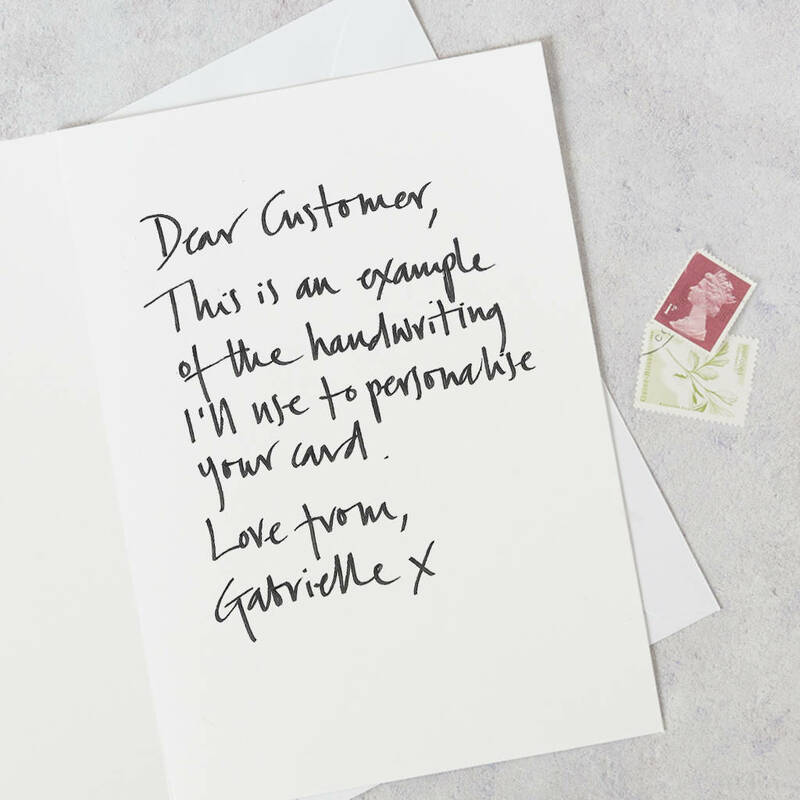 You can choose to personalise the card by having your message written on the inside and sent direct to the recipient. Perfect if you're overseas or in a hurry! This option includes the message exactly as specified in the text box provided, and sent in an envelope directly to the contact name and delivery address provided. Please ensure you provide the recipient’s name. The card is printed on 280gsm, FSC accredited soft white, board with matching 150gsm envelope. This gives a feel of luxury. The card comes wrapped in a cello bag. This product is dispatched to you by Gabrielle Izen.